If you have been a fan of the Hot Toys Marvel movie toys but haven’t had the chance to buy any due to the limited quantity and price this might be some very good news. Tamashii Nations the master toy artists behind the S.H.Figuarts Dragon Ball Z line and the super high detailed Monster Arts toys are going to be releasing a Heroic Action figure series. 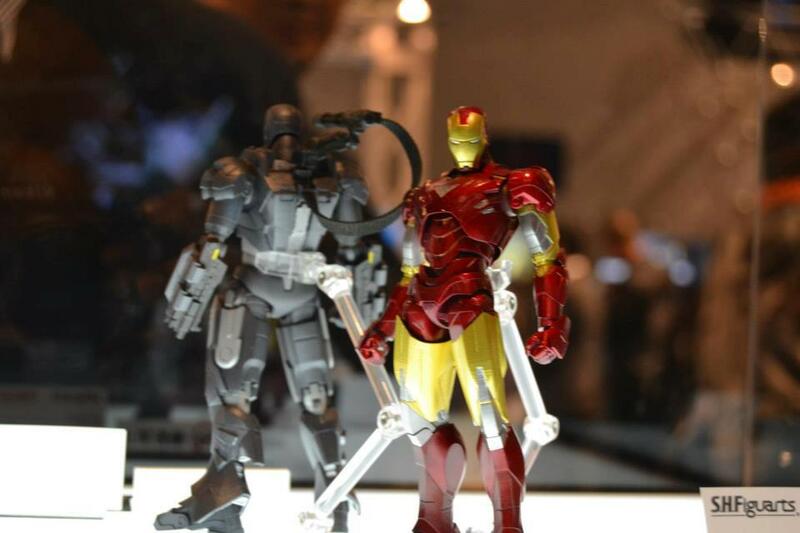 The first in the series is Iron Man mk VI and War Machine. 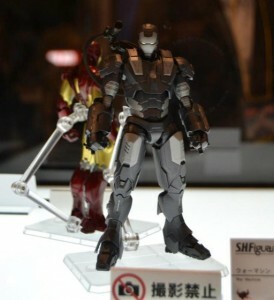 about $60 which is a lot considering there are a lot of other alternative Iron Man toys. The main difference with Figuarts is they will probably have all the detail of the Hot Toys figures along with a whole load of interchangeable parts. For a look at the Dragon Ball Z line there are reviews of Figuarts Trunks and the super amazing Super Saiyan Vegeta which was one of the best toy releases in the last decade. 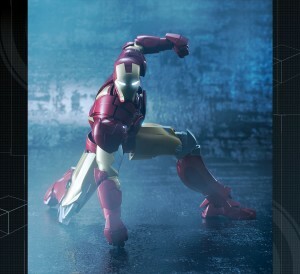 Going off the first official picture Tamashii have released it looks like they will also have built in electronics and have a release date of about April 2013 as they have a few other big releases this year. Below is a translation from the official site. Standard figures new series has been condensed technology moving figure Bandai on the theme of “the pursuit of representation humanoid characters by moving” “SHFiguarts (S. H. Figuarts)”. Moving about 14cm model based on the concept of (dynamic) Heroic action will awaken the “feeling a little treasure” Simple Style name of “SH” is indicated (Static).